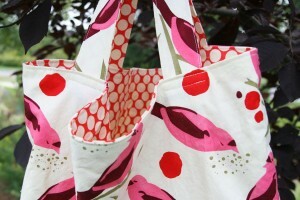 I make two versions of this market bag, and I use both on a daily basis. I made a number of one style recently, as shown here and here. These have side panels and end up measuring about 15″ across when laid flat. The bottom of this bag is about 3.5″ across, which sounds small, but since it’s fabric, it does actually accommodate quite a bit. In any case, my sister has one of these bags, and continues to tell me that it doesn’t perfectly fit all the items she typically packs in there. Hence the second version. I made this one with her in mind, eliminating the side panels and making the main portion of the bag a couple inches larger. 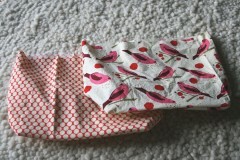 I also made the bottom about an inch wider, and the resulting bag is a better size. I suppose I’ll have to let her test it out to see if it works better for her needs! Next you’ll cut out the pieces for the bag. 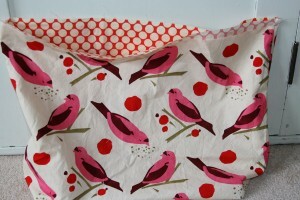 You’ll need 4 pieces for the main part of the bag – 2 out of the main fabric, and 2 out of the lining fabric. Each piece measures 18.5″ by 13″. You will also need 2 pieces for the bottom of the bag (one piece from each fabric). These should measure 14″ by 5″. 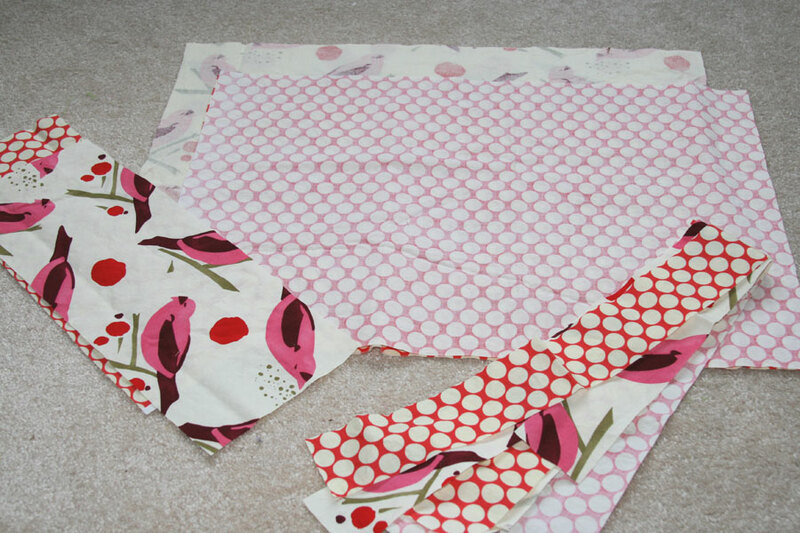 The last pieces to cut are the pieces for the straps – again, 4 total – 2 from each fabric. These should measure 27″ by 2″. 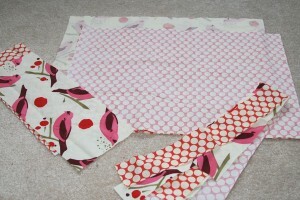 I use a piece of interfacing on each of the bottom pieces for a little added support. 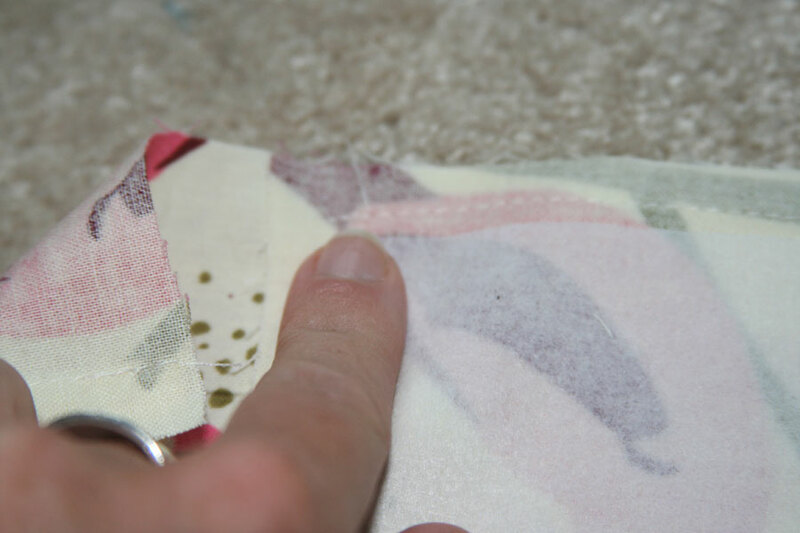 This is optional, of course, but if you go this route, you’ll need to cut two pieces of interfacing, cut slightly smaller than the bottom pieces (I don’t like to sew through the interfacing, so I cut it about 1/4″ smaller than the bottom pieces. Iron these pieces to the wrong side of each fabric. 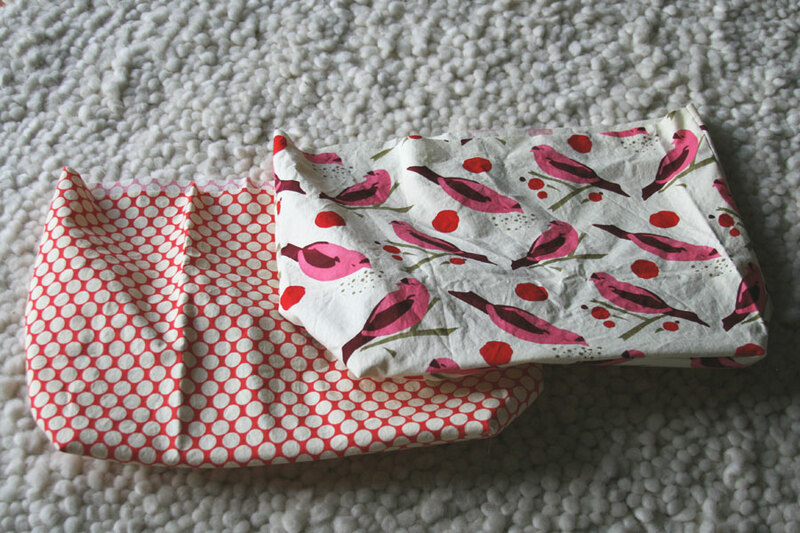 Now on to the sewing – I usually start with the lining, but the order really makes no difference. You’ll start with the main pieces for the bag. With right sides together, pin the rectangles together along the short edges. 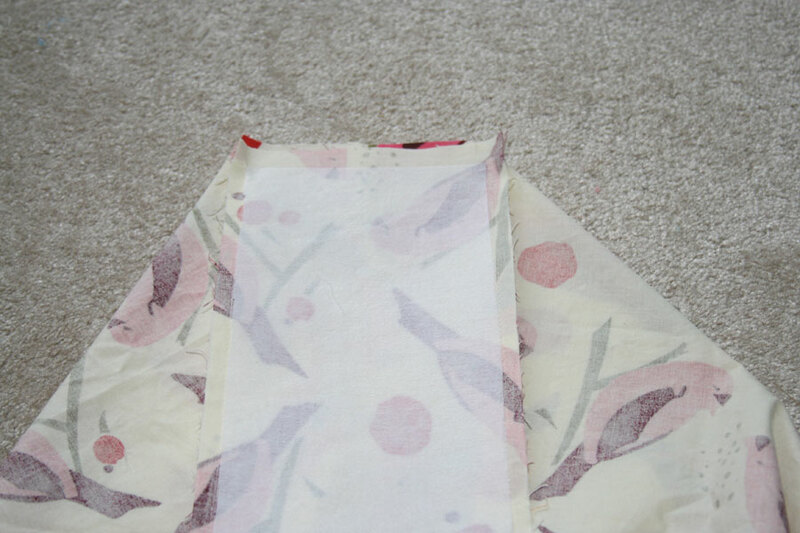 Each short edge will be sewn down the entire length, using whatever seam allowance you like. 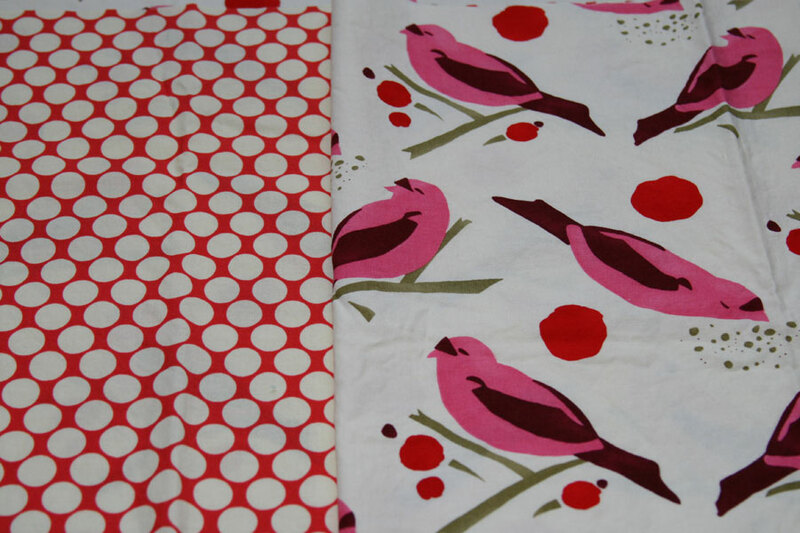 (Make sure you remember what you used, as you’ll want to use the same for the second fabric set). Now you should have a bag that has a bottom, with an opening on either side of the bottom panel. This part is tricky to explain, but here goes! 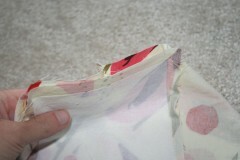 You will now sew the short edge of the bottom panel to the remaining fabric from the main part of the bag. I typically hold it so that the short edge of the bottom is facing up. I then pull the sides of the bag out to the sides, making a sort of pyramid. That short edge will be sewn to the bottom edge of the main portion (the part that hasn’t yet been sewn). Maybe a photo will help. Sew along this edge, starting from where you ended your sewing on the bottom panel, across to the stitch line on the opposite side of the bottom panel. Repeat for the opposite side. You’ll now have a very basic bag. You can turn it right side out and you’ll see the final shape of the bag. At this point I make sure that there aren’t any holes in the corners, then trim as necessary. 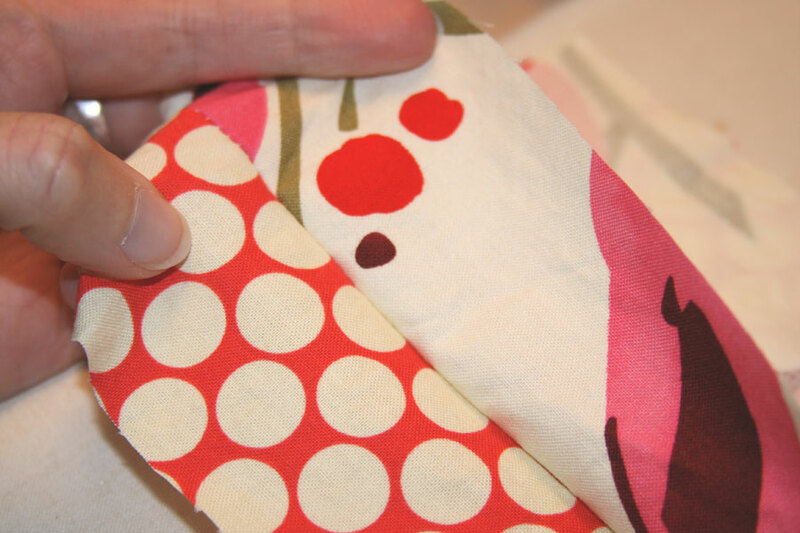 Repeat the entire process with the second fabric. Next I sew the straps. I take one of each fabric strip and put them right side together. You’ll sew along the long side. 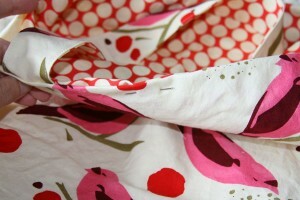 If you wanted, you could then sew along the other long side and then flip it inside out and topstitch. I don’t use this method, though it’s probably easier. 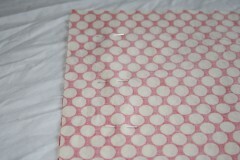 Instead, after sewing one long side together, I iron it flat and then fold and iron so the right sides are facing out. I then fold and iron along the unsewn long edge and then topstitch both sides. Now we’ll put the bag together! 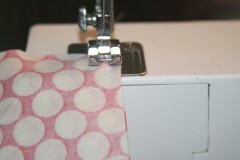 Take the bag with the main fabric (the one you want on the outside) and turn it right side out. 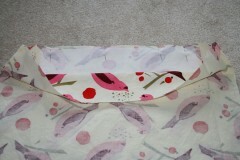 Keep the bag with the lining fabric inside out and place the lining bag inside the other, lining up the seams. Fold the fabrics inward at the top (right sides facing each other), creating a clean top edge, and pin and iron. 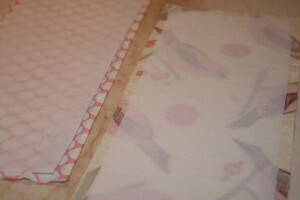 Then insert the straps between the two fabrics. 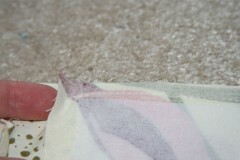 I tend to put them about 3″ from the side seam of the main panel. 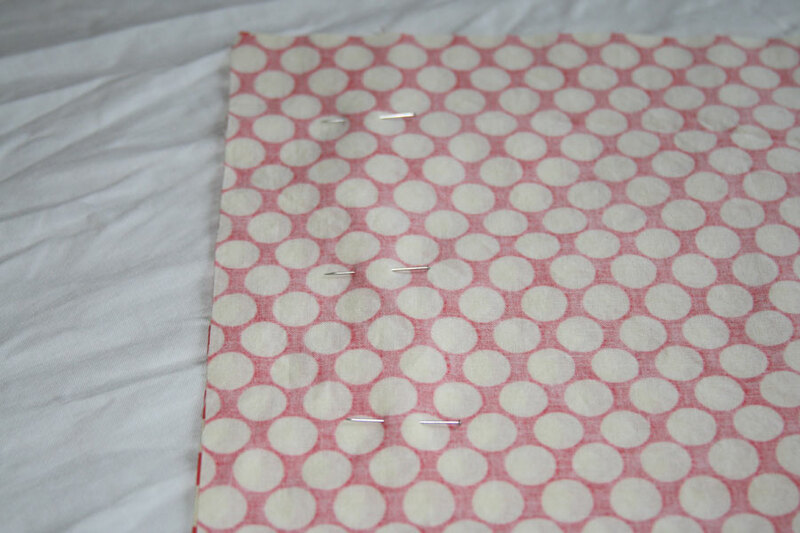 Once all pinned and looking as you’d like, you’ll sew along the top edge. I typically use a small straight stitch, but a zig zag is also fun. 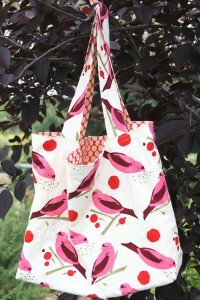 Trim all threads, et voila!… a finished bag! Great for groceries, books, beach stuff, you name it! 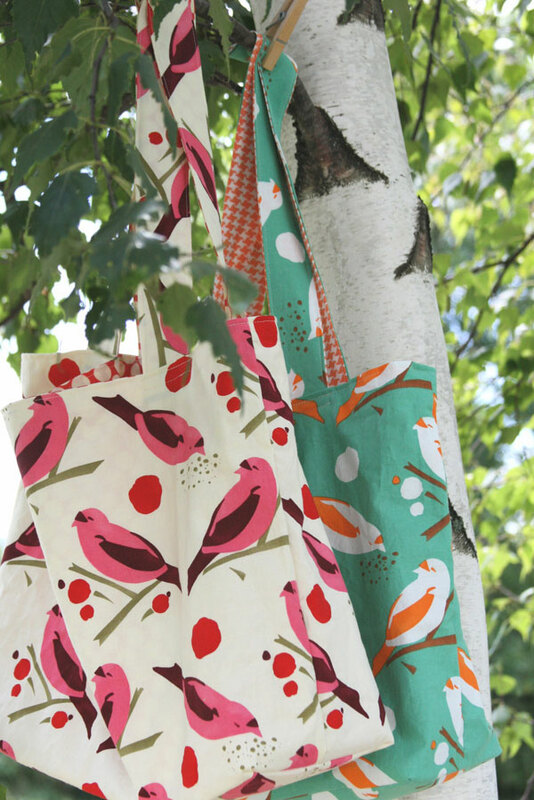 Update: I went a little market bag crazy recently, and now have a few for sale here! 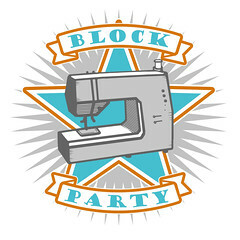 This entry was posted in Household Sewing - bags, napkins, pillows, Tutorials and tagged alexander henry, Amy Butler, Fabric, handmade, market bag, tote, tutorial. Bookmark the permalink. well now i don’t know which i like better! 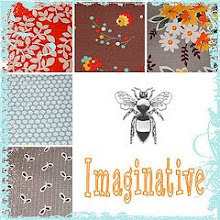 maybe i’ll just hold off and see what new fabulous fabric you get next week…or buy them all. i just can’t decide! i mean, not that i now couldn’t make my own, as your tutorial was very clear and easy to follow…i’d still just rather get them all made up from you. bringing them to the store soon, i hope? Excellent tutorial. I must have one. Or two. And good luck with the coffee. Why anyone would give it up is beyond me! Oops. I need help. Will you email me? Hi, love the market bag! Having trouble putting on the bottom? Any suggestions, need help. I am LOSING MY MIND trying to attach the bottoms of this bag. Have tried several different ways. I’ve found a much easier way, but I’ve cut my fabric! Can anyone explain, or show a photo that will help me to grasp this concept, please?! Well I made 6 bags with linings (so 12 total basically) all at once. No two were exactly the same 😉 you know how it is 🙂 makes me terrified to do a quilt. .. beings it needs to be so exact! But the bags turned out great and made them for my ladies when we went to Cabo San Lucas last summer 😉 perfect for going to the pool! The birds are so cute, love those colors! I totally hear you on the coffee. I switched over to tea last year and the first week or so…wow, it was tough! oh, that is too cute! I wouldn’t want to get it dirty with food stuffs though! 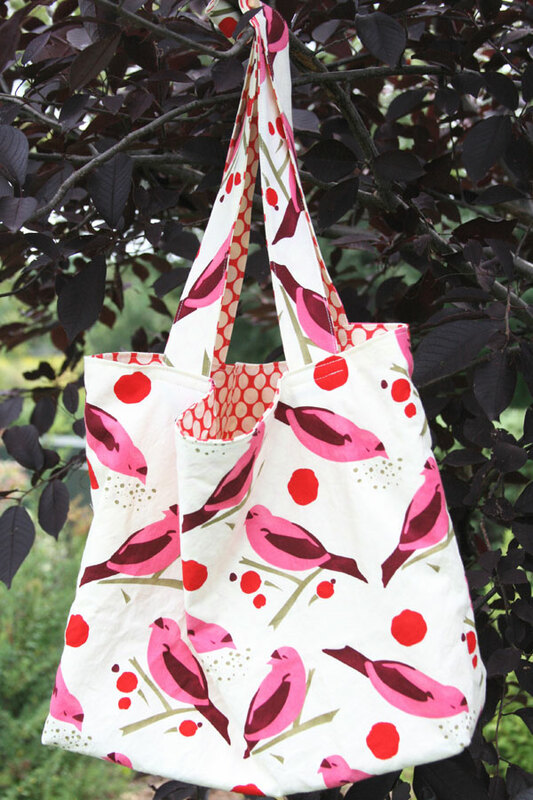 I sell canvas totes with snarky and/or eco graphics – which my husband uses every time he goes to the market for me 🙂 This bag is seriously adorable! I did it! Your instructions are great – I just needed to actually READ them! I’ll send a photo soon. I never thought of attaching a lining and outside piece that way… I usually use the ‘leave an opening at the bottom of the lining and pull the outside bit through’ technique. I just made this bag and it was so easy and it went together fast. Thanks for the tutorial! Thanks for the tutorial! I whipped one up tonight in a few hours and I love it. Unfortunately I’m giving it away as a gift which means I need to make another one for myself soon! This is a GREAT bag! Quick to make up, easy and fun. Thanks so much for sharing your pattern. Made up one for a gift just today and plan on making several for myself. Thanks again! I can’t find anywhere the measurements for these bags… is it the size of a grocery bag?? Thank you for this awesome tutorial. I am addicted to bags, but couldn’t find one I loved. This is it! 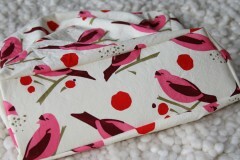 I have posted a link on my blog back to you, along with the bag photos. Thanks again! Well that’s what I get for trolling around the internet. I loved the market bag and am just finishing up putting on the straps. Love it. Thanks for posting. This was my first sewing project. I am proud. Thanks for the tutorial. Just finished my own bag (used vintage material) This was great for a beginner like myself. Thank you for taking the time to post it! thank you for this bag pattern and instructions. I modified it slightly to hang on my mother’s walker. Instead of handles I added velco straps at the sides to hang it, and then velco loops on the bag to attach to the cross piece to keep it from swinging. I am very pleased with the results — and this was the first time I have made a box bottom. Perfect. Is there a way I can share a picture? This was my first sewing project it was fairly easy I made the straps bigger, but I had a hard time with the bottom. Do you have any tips to make the bottom easier for me. This it the cutest bag! Thank you for putting the directions up. I just went to the sore to buy fabric and I can’t wait to make a few for holiday gifts. These are adorable! And probably easily folded to not take up a ton of space with my grocery bag collection. Thank you! Too cute! 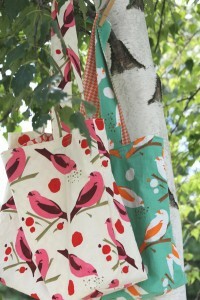 I hope you don’t mind but I posted your market bag tutorial on my blog! Love this bag!!! I made one for a Christmas gift now I am going to have to make a few more for myself lol I was surprised at how easy it was! Thank you so much for this pattern, I have began making it and so far it is turning out to be wonderful. Will you be posting more patterns soon? Thanks again…. Absolutely amazing pattern. I have just finished making it and found it amazingly easy. Thanks so much for sharing this pattern. Please post more patterns soon. 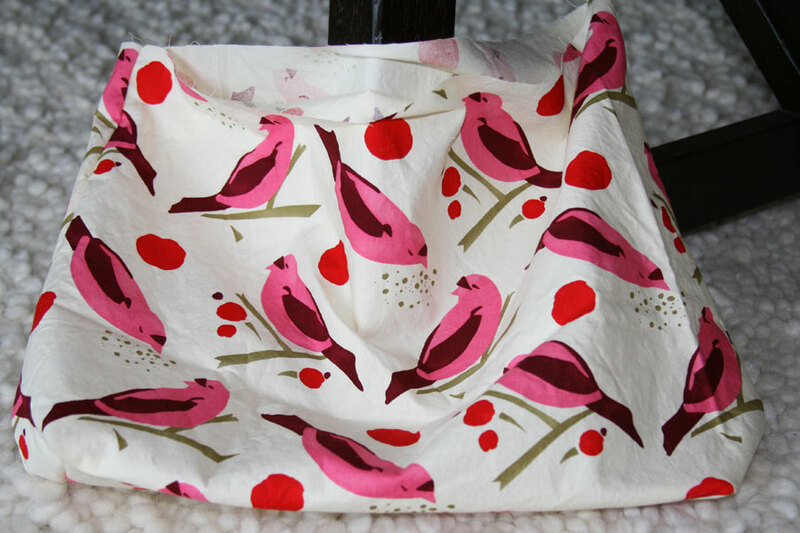 Hi there, I love this bag and can’t wait to try it, but I’m a newcomer to the whole sewing thing and I’m wondering about the best type of fabric to use. I love the stuff you’ve used but don’t know whether its just 100% cotton or is it a cotton drill. Obviously I want my bag to have some strength and some cottons are light. You see where I’m going? I did make a beautiful bag with a calico lining and that helped provide some stiffening to the bag, but you don’t use anything so I was hoping for some tips. Help! Thanks in advance. Oh and I should mention I’m in the UK! Don’t know if that means anything other than we don’t have a Target (your beautiful beach bag)! I just found this pattern and I am so excited to make it. My only question is how you get two bags out of 1 yard each for inside and outside? No matter what way I try, I can’t see to lay it out to where I can get more than one bay. Any suggestions? Thank you so much for posting this tutorial! There were a couple tricky spots for me initially but I was able to work them out and now I’ve made several of these bags for friends and family. I wish I was better about remembering to get photos of them all. I’ll have to do better with the ones I make in the future. adorable bag Loved the bird material very sweet.enjoyed reading through your sight. Thanks for the tutorial. It was my first time making a bag. It went quickly and turned out great! I used strips of different color denim sewn together for the outside, and added a jean pocket on the inside to hold small objects. Looks great; thanks again! Thank you so much for this bag tutorial. I have made dozens of these for gifts for friends and family. I’m getting rid of plastic grocery bags one at a time! Pingback: 6 Fantastic Kitchen Sewing Projects!